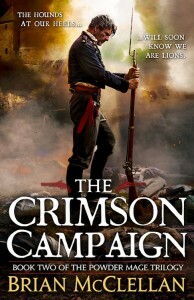 I’m still terribly behind on my reviews, but I did get to interview author Brian McClellan a few weeks ago. I tore through the first two books of Brian’s Powder Mage trilogy, Promise of Blood and The Crimson Campaign (which was just released this May) last month, and really liked them – a great fantasy world, awesome characters, a revolution, and cool magic system, including one based on guns! I’m super excited that I had an opportunity to interview Brian. Orbit has also offered me a copy of Promise of Blood to give away – see the end of this post for details. Hi Brian, thanks for doing this interview! First of all, I wanted to say that I really enjoyed the Powder Mage books; the universe is fascinating, and the characters are pretty awesome. For readers that aren’t as familiar with the series, though, could you tell us a little bit about it, and what makes it special? Thanks for having me around! The Powder Mage Trilogy begins with the coup of a king by the country’s field marshal and follows several different protagonists as they deal with the fall out of the king’s execution. It has royalist uprisings, ancient sorcerers, black powder magic, betrayal, family strife, immense battles and much, much more. As opposed to most epic fantasy, which has a medieval setting akin to the works of Tolkien, the Powder Mage books take place during the world’s industrial revolution. Muskets have replaced swords and the old ranks of nobility are giving way to the middle class. Despite the presence of flintlock weaponry, I’ve tried very hard to keep the feel of an epic fantasy novel with sprawling conflicts, duels, conflicted heroes, and many (but not too many!) of the tropes that readers will find familiar. How is the third book (it’s called The Autumn Republic, right?) coming along? Do you plan to write any more books/short fiction set in the same universe afterwards, and if so, could you give us some hints about what they would be about? The Autumn Republic is coming along great. The first draft is finished and has been approved by my editor, and I’m working on edits right now. When those are finished I plan on taking a month or two to write some more powder mage short fiction before moving on to the first book in the next trilogy. I have many ideas for new short fiction, such as a locked-room mystery featuring a young Adamat, but I haven’t decided which one I’ll work on yet. The next trilogy will take place in the Powder Mage Universe as well, ten years after the end of The Autumn Republic. I don’t want to say too much about it to avoid spoilers, but it will take place on a different continent and one of the viewpoint characters will be Vlora. I loved that Promise of Blood is about the messy aftermath of a revolution – not something commonly explored. How did you come up with this idea, and how much did it evolve from your initial conceptualisation to the final book? I had initially planned on starting the book earlier on in the timeline, with the coup being the culmination of book one. But that didn’t stay on the drawing board long. I quickly realized that the plot would move a lot slower and give the reader less to grab on to, and that the real story was after the coup. Some of the plot lines did change between the first and final drafts of book one. For instance, Taniel’s view point originally featured him at the Mountainwatch for the entire book, rather than starting off in Adopest. I really enjoyed your three short stories featuring the women of the Powder Mage universe; please write more! Will we ever have a story from Ka-Poel’s point of view? Yes! As I mentioned before, I plan on writing more of those. I’d like to continue doing 3-4 a year, or even more if time allows. Ka-poel is a tough one for me. A view point character that can’t speak would be particularly difficult to write, and both me and my wife (who does all my initial brainstorming with me) think that her character is far better suited to the mystery of a secondary character. What is your writing process like? What parts of writing do you find the easiest/hardest and most fun/tedious? I tend to write in spurts. Several weeks away from the keyboard, and then a flurry of activity with a third to half a novel being written in just a couple of months. It’s really a terrible way to work, and I’ve been trying to make myself be more consistent. But I tend to do most of my drafting in my head. If an idea for a scene isn’t fully realized, I won’t even start it. Now, it may change once I begin to put it on paper and that’s just fine. But I don’t like to get going until I know exactly where I sequence of scenes or a chunk of a plotline is going to end up. I have a love/hate relationship with editing. If a scene is in good shape, editing it is so much fun because I’m looking at it with the eyes of a reader. If the scene needs a lot of work, it’s more of a grind as I go through and rewrite and change characters and all that stuff. One of the reasons that I was really excited to read your books was because they were blurbed by Brandon Sanderson. 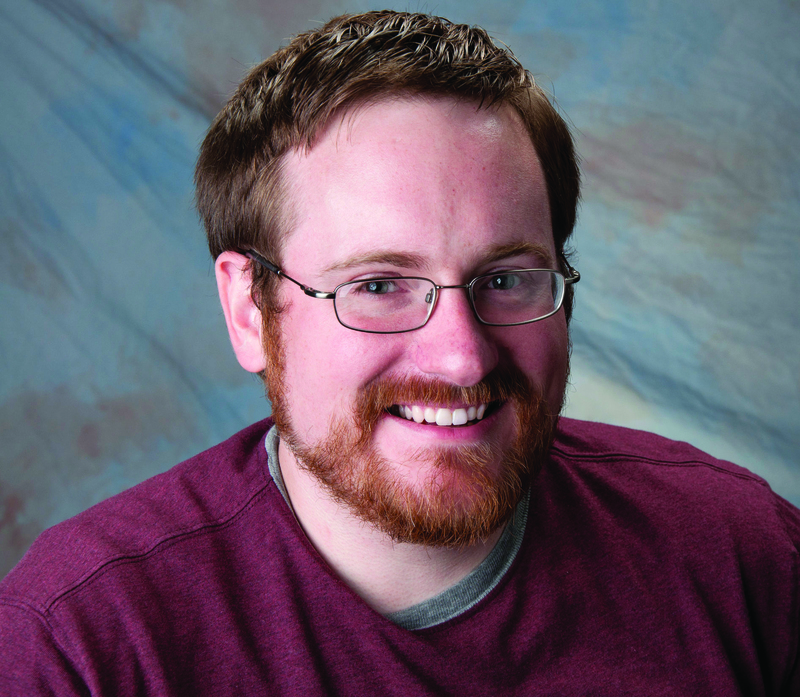 How do you know Brandon Sanderson and has he influenced your writing? Brandon was my professor back in college. I wound up in his class purely by chance (and I think only the second year he had been teaching it). We never had a terribly close relationship but he was always hugely encouraging and told me that I had real talent and if I kept working at it I’d be published some day. And now I am! Brandon taught me that writing is more than a hobby. It’s a business, and if I wanted to make a living off it I would have to treat it as such, which was immensely valuable to me. I was born in Cleveland, raised over in Chesterland in Geauga county. I really love the area. While the winters are hard and the rain can get tedious, I love how green it is through the spring and summer. The people tend to be very nice and the cost of living is low. It gets a bad rap, but I love it. What books have you recently read and enjoyed? Do you have any favourite TV shows? I don’t get to read nearly as much as I used to, but I recently read both Django Wexler’s Thousand Names and Wesley Chu’s The Lives of Tao. They were both excellent books, of which I’m doubly glad because I’ve become friends with Django and Wes! I’m a big fan of Game of Thrones, and I recently finished watching the latest season of Top Gear on Netflix, which I love despite not being interested in cars in the least. Are there any other projects that you are currently working on? Just edits of Autumn Republic. I don’t do well working on several projects at once. If you could have Tamas and/or Taniel and/or Adamat team up with a fictional character from another universe, who would it be and why? I think Tamas would make a pretty fantastic Brightlord in Brandon Sanderson’s Roshar. He has the tactical sense to command armies on the Shattered Plains, and can you imagine him burning a powder trance while wearing shardplate? He’d be a one man army. Just keep an eye out for more Powder Mage short fiction throughout the summer! I’m hoping to do a couple different pieces. 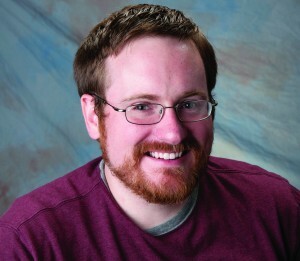 You can check out my website for updates at www.brianmcclellan.com, or follow me on @briantmcclellan. 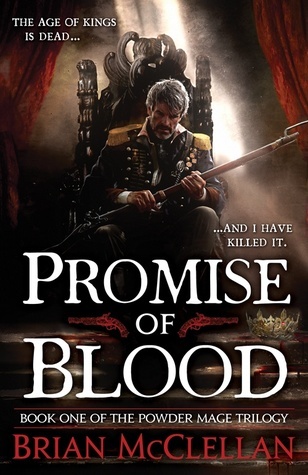 As I mentioned above, Orbit has given me a copy of Promise of Blood to give away! To enter, please email me at kriti@justaworldaway.com with subject “Promise of Blood” and your name and mailing address (US/Canada only). This giveaway is open until June 16, 2014. If you can’t decide whether to enter (hint: you should enter! ), here is the cover and blurb to help you out. This entry was posted in Giveaways, Interviews by Kriti Godey. Bookmark the permalink.